CIBSE Technical Memorandum TM44 provides guidance on conducting an air conditioning inspection to satisfy the requirements of the Energy Performance of Buildings Regulations 2007. 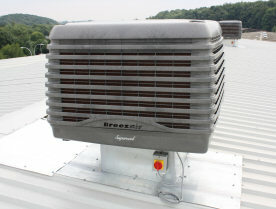 The focus is on systems that use refrigerants to produce cooling. 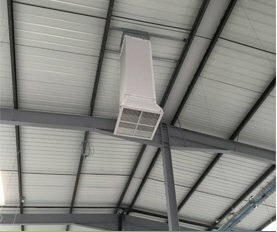 Part 4 of the Regulations requires the person who has control of the operation of any air conditioning systems in a building that have a collective cooling capacity greater than 12kW to ensure the overall system is inspected by an accredited air conditioning inspector at regular intervals (at least every 5 years). Do we need to comply? 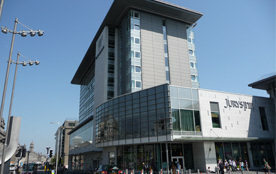 Since 4th January 2011, it is a legal requirement for any buildings with over 12kW of total cooling to have a TM44 Air Conditioning Inspection Survey and Report carried out by an Accredited Air Conditioning Inspector and for this report to be lodged with the government's Non-Domestic Energy Performance Certificate Register (Landmark). If you're not sure if you qualify, if you have more than 1000 sq ft (93 m2) of air conditioned floorspace, then it is highly likely that you will need to have an inspection. Trading standards are also becoming more proactive and clamping down on non-compliant owners and operators. 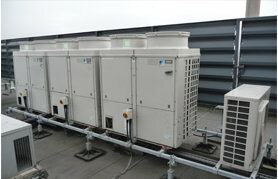 We have over 30 years of experience working in the heating, ventilation and air conditioning sector. During that time, we have built up an impressive portfolio of well-known clients and can provide an in-depth knowledge of how to achieve tangible improvements by changes in operation, controls and maintenance. Our qualified inspector will produce a written detailed report with advice on how to improve the efficiency of the system, the sizing of the system compared to actual requirements, and the possibilities for improvement or replacement of the system or possible alternative solutions. The certificate will be lodged with the government's landmark registry and will be valid for 5 years.